Peedantak Kwath means Pain ending tea. Divya Peedantak Kwath is meant to treat pain in joints, bones and muscles and also provides relief from swelling and inflexibility of joints. 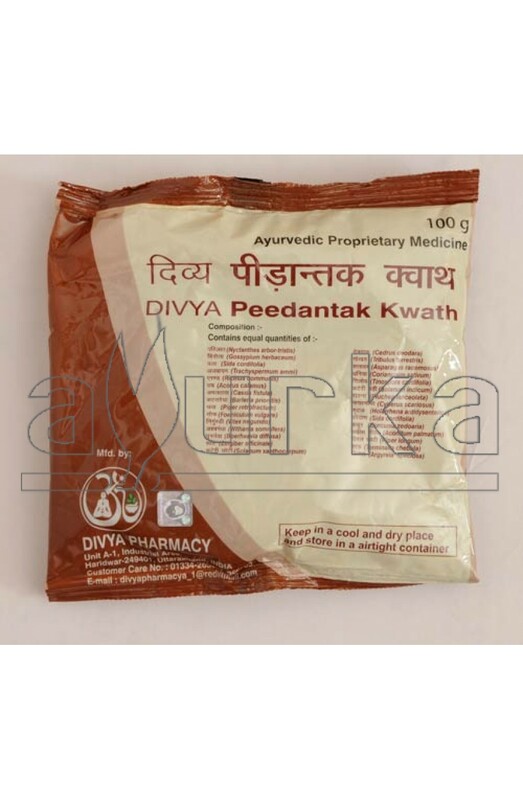 Advantages: Divya Peedantak Kwath is made of herbs which provide nourishment to bones and muscles and relieves pain. It reduces the swelling and rigidity in the joints which also helps in pain treatment. 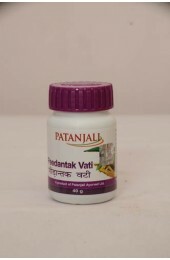 Divya Peedantak Kwath can be a good source of calcium to strengthen the bones in old age. It is also highly effective in treatment of arthritis, back pain, stiffness of joints and other bone related problems. Directions of Use: Take 1 teaspoon (5 grams) of Divya Peedantak Kwath and boil in 400 ml water till the water remains 100 ml. Separate the residue and drink twice a day. 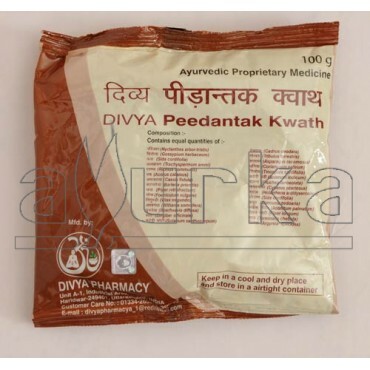 Packing: Divya Peedantak Kwath is available in pouch packing of 100 grams. Divya Peedantak Kwath is to be taken for the treatment of joint pain and other allied problems. It can be consumed daily for the relief in joint pains, as it is not known to cause any side effects. Consume regularly during the treatment of the problems.